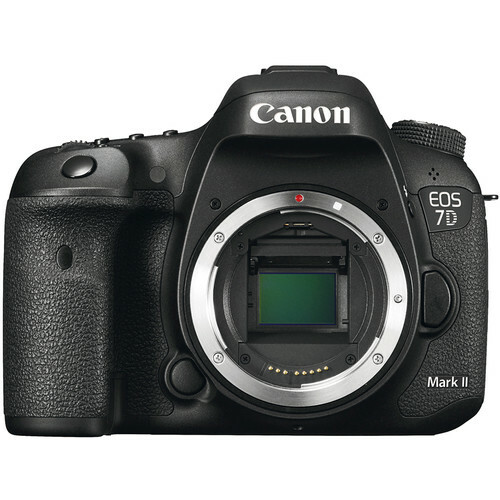 The 7D Mark II features an APS-C-sized 20.2MP CMOS sensor and dual DIGIC 6 image processors to enable up to 10 fps shooting, full HD 1080p video recording in multiple frame rates up to 60 fps, and a top expandable sensitivity of ISO 51200. Benefitting still shooters, a 65-point all cross-type AF system delivers fast and precise focusing capabilities. Additionally, when working in live view or while recording movies, a Custom Movie Servo AF, which is aided by the Dual Pixel CMOS AF system, serves to highlight recording abilities by enabling controllable speed and sensitivity settings for continuous focusing with moving subjects. For image monitoring and playback, a 3.0" 1.04m-dot ClearView II LCD monitor is available and a built-in GPS module provides in-camera geotagging capabilities.